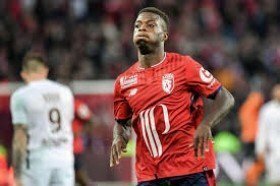 The Ivorian has enjoyed a standout season with Lille and his tally of 18 goals and 11 assists has put the club on the cusp of sealing Champions League football for next season. In an interview with Telefoot, Lopez has now revealed that the attacker is likely to part ways with the club in the summer amid the glowing interest from several high-profile sides. "It's certain he will leave. He's in a price range that we cannot ignore anymore. There's a career choice for him to make, I think he'll have the choice to leave," he told Telefoot. Arsenal, Barcelona and Chelsea have all been linked with the attacker over the past six months, but the Gunners could be priced out of a potential move ahead of the summer. Lopez has previously revealed that the winger would cost at least £68.8m and it remains to be seen whether the Gunners can afford the sum, should they qualify for next season's Champions League.